When a player as great as Petr Cech announces he’s going to be retiring, it’s natural for floods of tributes to be sent in celebrating his achievements. The 36-year-old walks away from the game with about as complete a CV as you could wish for in English football. Cech won four Premier League titles, five FA Cups, three League Cups, three Community Shields and the Champions League and Europa League in his 11-season stint at Chelsea. 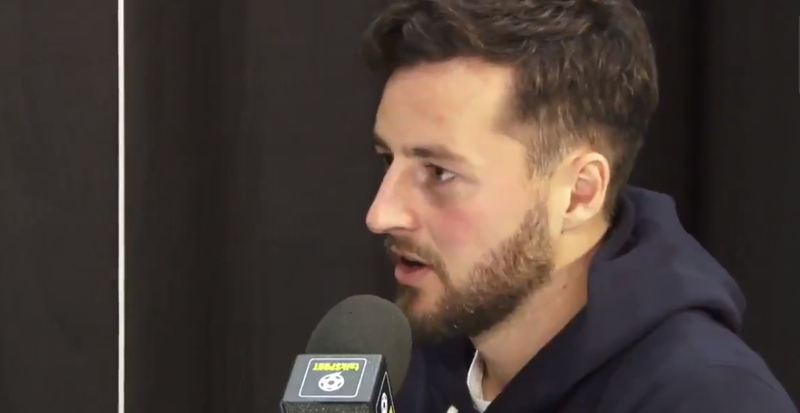 However, former Tottenham and Hull midfielder Ryan Mason has paid tribute to Petr Cech the man, instead of just as a player. Mason’s career was brought to a premature end back in January 2017, after he suffered a fractured skull following a clash of heads with Chelsea defender Gary Cahill at Stamford Bridge. Cech infamously suffered a similarly horrific head injury, doing so against Reading back in 2006, but was able to return from it and get back to playing professional football once again, doing so with his now trademark cap. Knowing what Mason was going through at the time, he reached out to the 27-year-old and helped him during his rehabilitation process, which proved unsuccessful in resuming his professional career. Watch below as Mason reveals the help he received from Cech at the most difficult stage of his life.